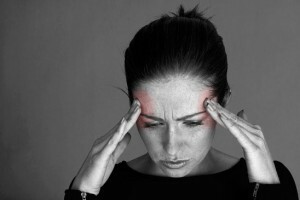 More than 25 million Americans suffer from migraines, almost 75% of them women. These intense, throbbing headaches, often associated with nausea and sensitivity to light and noise, can occur as frequently as several times a month and last for days. Although their triggering processes are not fully understood, migraines can be caused by any of a number of factors. These include disrupted sleep patterns…fatigue…stress… bad posture… eye strain… light conditions… strong odors… alcohol…caffeine… and foods high in certain amino acids. A number of extensive studies have shown that spinal manipulative therapy can be highly effective in treating migraines, particularly those that originate in the neck area. One such study, reported in The Journal of Manipulative and Physiological Therapeutics, showed that subjects who received chiropractic care experienced significant improvement in the control of migraine frequency, duration, and disability. Nearly one-fourth of participants reported more than a 90% reduction of attacks. If you suffer from repeated migraines and medications have not helped, chiropractic care can be the answer for pain management. It will begin with a thorough initial examination that will include a review of your health and family history. The evaluation will focus on your musculoskeletal system, as posture and muscular asymmetries may be contributing factors. Particular attention will be paid to neck muscles and joints. Before receiving chiropractic care, you will need to let your doctor know about all medications and supplements you are taking, because manipulation may interact with them. Two other precautions: 1) Do not seek chiropractic care for migraines if you have osteoporosis, nerve damage, or numbness, tingling and loss of strength in an arm or leg; and 2) Pregnant women should get their doctor’s permission before receiving chiropractic treatment for migraines. For more information about how chiropractic care can help with your migraines please contact Total Chiropractic Care at (631) 447-2299. You can also visit our FAQ page. Have a happy—and a healthy—holiday season!